Changing the culture around sexual violence and sexual harassment is no easy feat, but Kathleen Salvaty is up for the challenge. Salvaty began her role Feb. 6 as UC’s first systemwide Title IX coordinator, reporting directly to President Janet Napolitano. 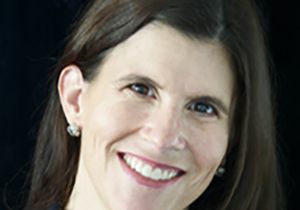 She oversees UC’s ongoing efforts to effectively prevent and respond to sexual violence and sexual harassment, which includes education, investigation, adjudication and sanctioning in cases involving students, faculty and staff. 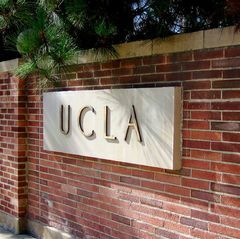 She was previously the Title IX coordinator at UCLA for two years. Before joining UC, she was an attorney for almost two decades with experience in civil rights law, including serving as executive director of the Los Angeles Police Department Blue Ribbon Rampart Review Panel, which evaluated and made recommendations regarding police reform. In a conversation with Katherine Tam, Salvaty discusses her role and talks about what drives her. As systemwide Title IX coordinator, what are you responsible for regarding UC’s efforts to combat sexual violence and sexual harassment? Primarily, I am responsible for ensuring that UC has strong and consistent prevention and response efforts toward sexual violence and sexual harassment systemwide. I am working closely with all of the campuses to develop best practices in prevention education, and ensure that we have appropriate processes for responding to and resolving reports of sexual violence and sexual harassment. What are your immediate priorities, and what improvements can we expect to see this year to more effectively address sexual violence and sexual harassment? President Napolitano had convened a task force and two committees to make recommendations for improving sexual violence and sexual harassment prevention and response efforts for students, faculty and staff. In the immediate term, I am working with the campuses to ensure that these recommendations are implemented. The changes we are making will significantly improve how we address sexual violence and sexual harassment. Do you foresee any challenges in implementing these improvements? Making large-scale systemwide change is always challenging. Each UC campus is unique, and we want to respect that, as we ensure consistency in this area. The good thing is that every campus shares the president’s goal of being a standard bearer in this area, and fostering a safe and respectful learning and working environment for all. I was an attorney with experience in civil rights law, including a focus on equity in public education. Title IX is a civil rights law guaranteeing equal access to education so the role of a Title IX coordinator at UC seemed like a natural fit. Addressing reports of sexual violence must be challenging and emotionally trying work. What keeps you going? It is gratifying to know that your work is making a difference. I have a 13-year-old daughter and a 10-year-old son, and I remind myself that I’m working to make higher education a safer and more positive experience for them. Do you think your experience of working as a Title IX officer at UCLA will help you in your new role as systemwide Title IX coordinator? If so, how? I’m not sure you could do this job effectively if you haven’t actually served as a Title IX officer on a campus. Our obligations under Title IX are clear, but how we satisfy those obligations in a given case is extremely challenging. I know that from having worked at UCLA. Ultimately, effectively addressing sexual harassment and sexual violence throughout UC requires a change in people’s attitudes, beliefs and behaviors. What can students, faculty and staff do to help foster a culture of respect and safety on UC campuses? One of the things that has been so extraordinary about the recent focus on Title IX is that it has been largely driven by the students. The students initially brought this issue to light, and I think they have powerfully illustrated how sexual harassment and sexual violence can deprive them of their education. I think it’s important that we frame the issue this way and consider the harmful impact sexual harassment and sexual violence can have on one’s learning or working environment. Changing the culture requires all of us to take responsibility for the welfare of others in our UC community. In our prevention education, we talk a lot about bystander intervention, and the idea that we should step up to stop potential harmful behavior when we see it. Also, employees are obligated to report sexual violence or sexual harassment when they become aware of it. These are important steps the UC community can take to help change the culture. How can students, faculty and staff stay informed about UC’s efforts to address sexual violence and sexual harassment on campuses? I would encourage anyone to contact their campus Title IX office for information about current prevention efforts and processes, or to report an incident of sexual violence or sexual harassment. You can also visit UC’s systemwide website on sexual violence prevention and response. If you want confidential advice, information and help understanding your reporting options, contact your campus CARE Advocate. The CARE Advocacy office provides confidential support for survivors of sexual violence and sexual harassment, and provides ongoing prevention education and programming.